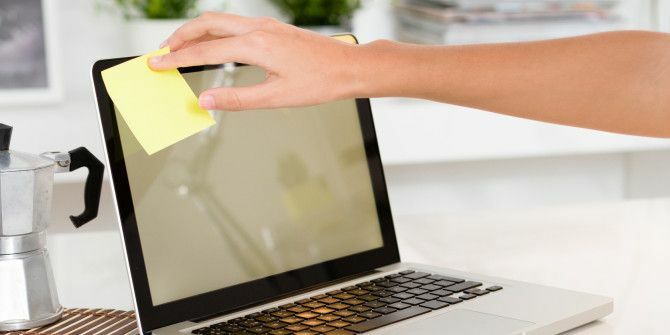 The Windows registry is home to all sorts of ways to customize your computer and fix problems How to Fix Windows Registry Errors & When Not to Bother How to Fix Windows Registry Errors & When Not to Bother In most cases, fixing our registry will do nothing. Sometimes registry errors cause havoc after all. Here we'll explore how to identify, isolate and fix registry problems – and when to not bother at all. Read More , but it’s not exactly user-friendly to work in. Long strings of names to find locations and a potentially confusing folder structure might frustrate users editing the registry. Here’s how to keep your most-visited locations close at hand. Remember that editing the registry could harm your computer if you’re not sure what you’re doing, so be sure to read our guide to using the registry safely How Not to Accidentally Mess Up the Windows Registry How Not to Accidentally Mess Up the Windows Registry Working with the Windows registry? Take note of these tips, and you'll be much less likely to do lasting damage to your PC. Read More before you start playing around with it. Have you noticed the Favorites menu item in the Windows registry editor? Add favorite registry keys for quick navigation. Open the registry editor by typing regedit into the Start menu and accept the administrator prompt. Find whichever folder you’d like to bookmark for future use, and click it once so it’s highlighted. Next, click the Favorites menu on the top toolbar. Clicking Add to Favorites… will prompt you to give this location a name. Make sure you make the name descriptive, because it won’t show you where this key is located once it’s saved and you can’t edit the name. Something related to what you were trying to fix or tweak in that location is probably best. It’s also a good short-term trick to bookmark somewhere you just made a change, so you can revert it quickly if it didn’t end up working out. Once it’s in your favorites, click the Favorites button again at any time and choose the name you entered to jump right to that spot. A lot better than clicking down every time, huh? Need more control over your registry editing? Check out tools that can assist you in examining the Windows registry 3 Tools To Monitor & Examine The Windows Registry 3 Tools To Monitor & Examine The Windows Registry The Windows registry is one of the most poorly understood parts of the Windows operating system. We show you tools that can simplify the registry and help you identify issues. Read More . What registry locations do you find yourself visiting over and over? Let us know below!